Here comes Bill Rodgers--RUNNING to the Finish Line! Don't you love this guy? 4-time winner of the Boston Marathon! 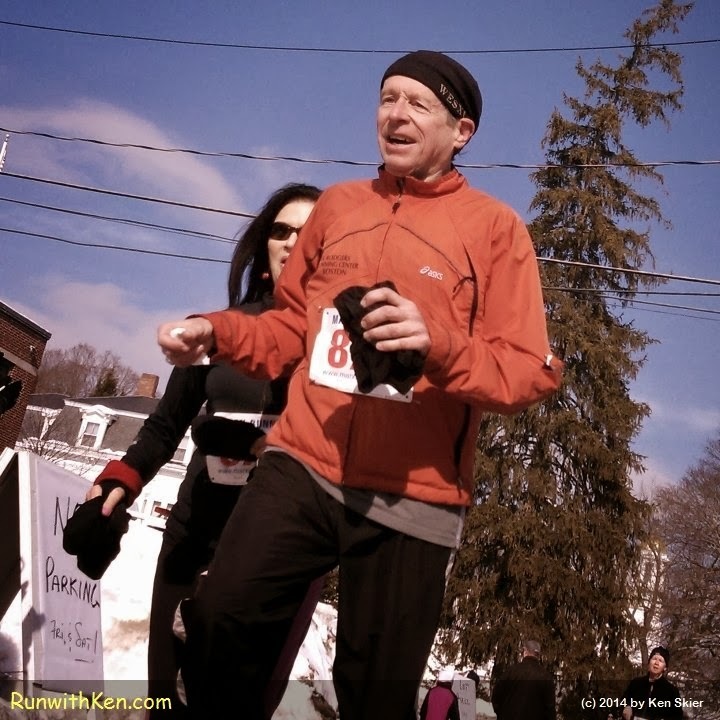 --running to the finish line at 5K race near Boston. than anyone you or I can name. to this little race in a small town, to benefit a local theater.